Previous: Motorcycle News 2014: BMW S1000R, the Bavarian roadster! 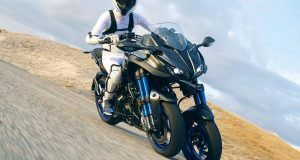 Yamaha is going to come back strong: such were the words of the president of the firm to the tuning forks during the press conference that unveiled the new Yamaha MT-07, certainly a bike dedicated to a promising future. With a design consistent with the spirit of the Yamaha MT-09, of a whole new twin line 689 cm3, it will apply to beginners in version A2 and all others in the standard version. 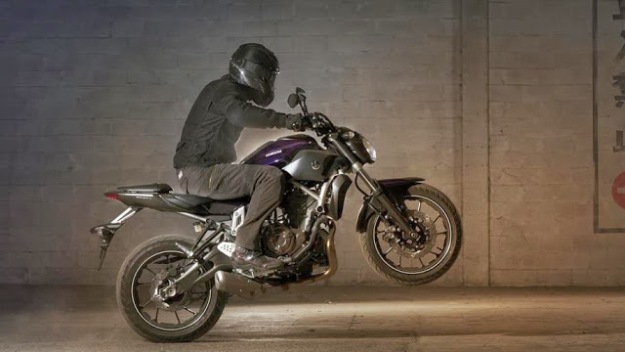 Unveiled in September, the new Yamaha MT-09 makes big noise: aesthetic daring, all-new engine three-cylinder line 850 cm3, lightness and between roadster and supermotard riding position… This bike did speak and turn heads and registrations seem to follow. 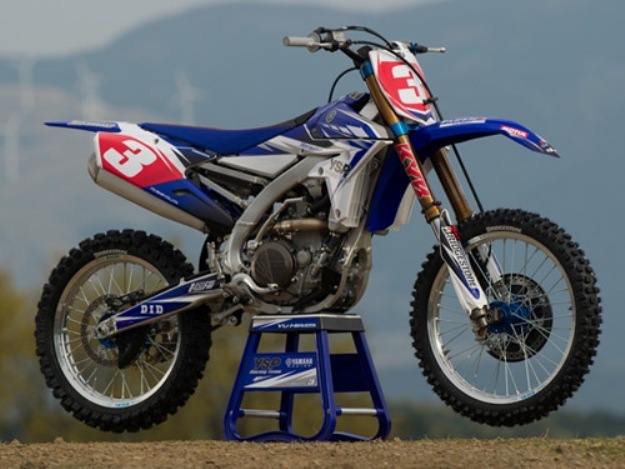 Yamaha is going to come back strong as underlined in one senior Japanese officials of the mark, with at least two significant innovations for each coming year. 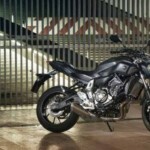 And for 2014, the largest, would this from a point of view of the market, will be the Yamaha MT-07. No, it is not a tinkering of the XJ6, but a brand new motorcycle, outcome of the new Yamaha inspiration, namely line MT for Maximum Torque. 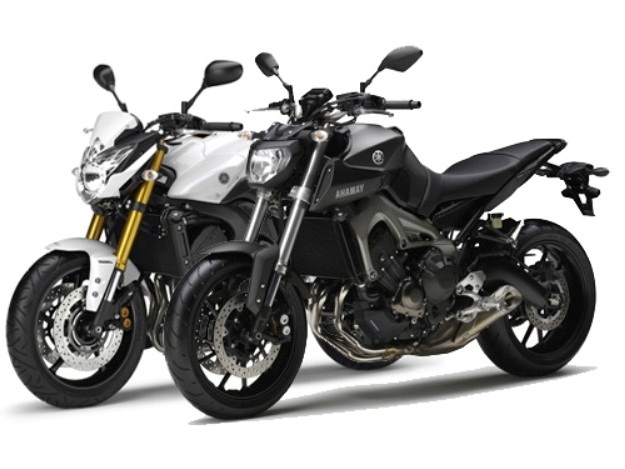 Aesthetically, the Yamaha MT-07 is close enough to the MT-09, taking over some of its aesthetic codes as the absence of counter wrapping or tortured forms in general, including at the level of the integration of the engine. The General line is still less particular than the Yamaha MT-09 and at certain angles and red, almost reminds some MV Agusta. There nevertheless, on this entry-level bike, carefully worked parts, to the image of the swinging arm or tank saddle base set that seems molded in one piece. We had heard and had relayed it in our news feed: a Yamaha beautiful and well chosen to design a brand new twin line 689 cm3. 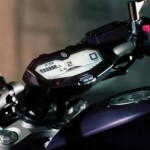 It uses the latest solutions known from Yamaha, namely the crankshaft at 270 ° as on altimeter on the Super Tenere for example. 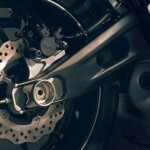 Yamaha has opted for a balance shaft very compact to limit vibrations without increasing congestion. 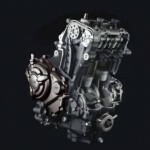 The engine is implemented more vertically than usual with Yamaha. 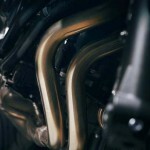 The exhaust line 2-in-1 established in low position will provide leadership to lower all the centre of gravity. For the rest, the electronic injection, designed to limit pollution as consumption, doesn’t seem to work in conjunction with an electronic Accelerator: probably too costly and uninteresting on a motorcycle devoid of multiple mapping or traction control. This modern engine should not miss performance with very suitable values ​​for category 75 hp. and 68 Nm of torque at 6500 rpm only. That will remain consistent with the philosophy of the new MT line. 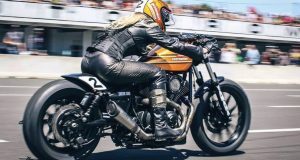 Yamaha advances, by also the gearbox have particularly worked to improve the approval of its selection and especially booster repeatedly them on the fourth, fifth and sixth rates, this to avoid overruns with great downshift. 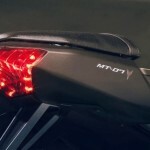 Yamaha had a little missed the mark of the new permit A2, lack of successful models. 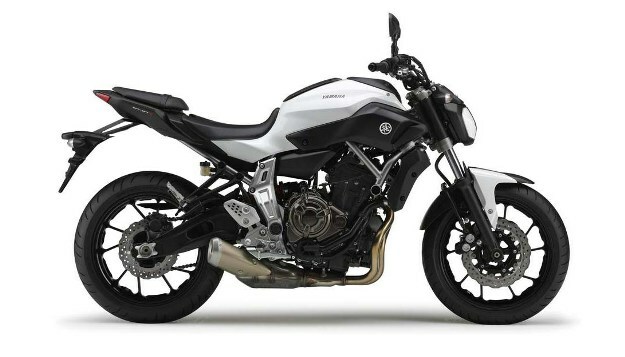 With the Yamaha MT-07, is corrected and the restriction to 35 kilowatts (47.5 hp) promises to be well done. 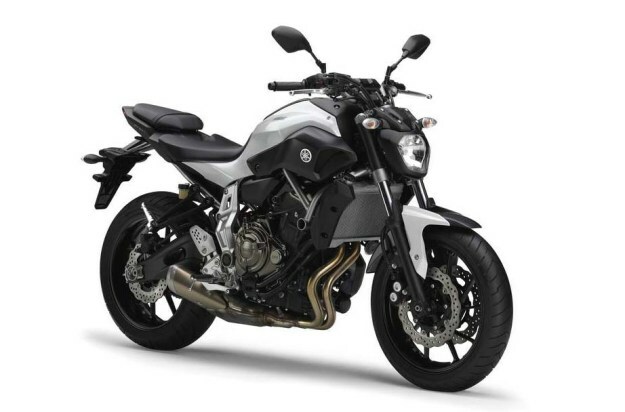 The look you want for the Yamaha MT-07 does not cover less of the technical solutions simple enough, in the image of its tubular frame on which come to anchor different decks to support the engine. Note that Yamaha has made beautiful efforts to draw a swingarm’s banana of the most beautiful effect. Suspension – fork 41 mm classic and mono damper – are classic although rear handset be implemented almost horizontally in order to gain in compactness and reduce the wheelbase. Only the shock absorber is adjustable in spring reload. 282 Mm brake discs took the form of petal, a relatively small diameter compared to sports roadsters, but use of 4 piston calipers should bring enough bite. The ABS will be optional. On wheels, Yamaha has chosen, once again, the option of the look with a rear wheel fit a tire 180/55 x 17. Hope that the handling is not too will suffer. Compact geometry and weight of 179 kg all full facts will be sacred strengths to thwart Stoppers and bends. Incidentally, speaking of CAP, welcome a soft ergonomics, an 805 mm seat height and a template that should not pose a problem in interfile, with the possibility to search the new dashboard asked even the handlebar. 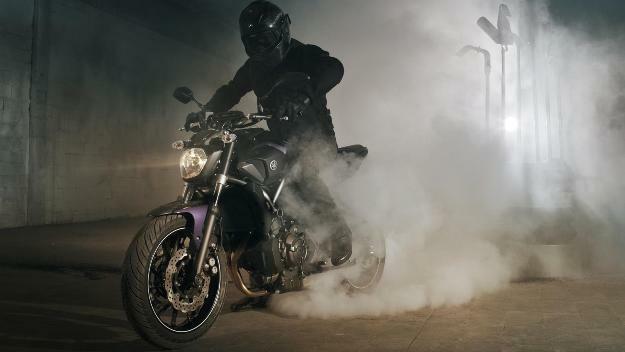 After the Yamaha MT-09, Yamaha intends to strike a blow with his Yamaha MT-07. In brand new motorcycle, with strong in design, new engine promising, except agile. 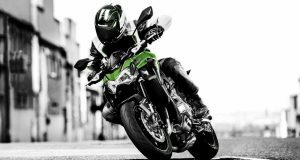 This program, attractive, full of ambitions in terms of market share, should cause concern to the competition, especially with a sale price of less than 6,000 Euros in tariff basis and we should be able to approach the Yamaha MT-07 in Q1 2014.